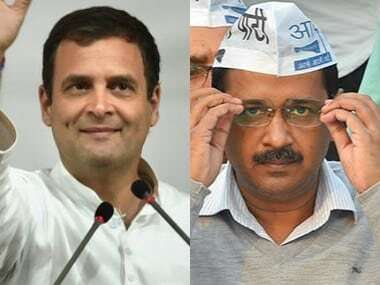 Rifts coming in the way of the Congress-Aam Aadmi Party (AAP) alliance in Delhi got deeper after Arvind Kejriwal responded to Rahul Gandhi’s tweet alleging a "U-turn" by the Delhi chief minister. 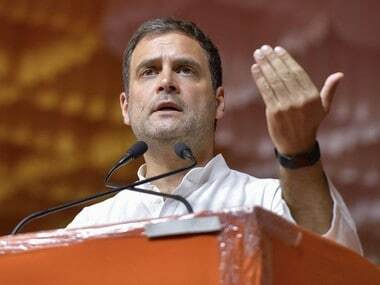 Through a tweet on Monday, the Congress chief offered four of seven seats to AAP in Delhi in the proposed combine, while laying focus on the importance of BJP's defeat. In response, Kejriwal said that Rahul’s statement was a pretence and not a genuine wish for an alliance. “What U-turn? Talks are still on. Your tweet shows that an alliance is not your wish but just a pretence. I am disappointed by your statements. It is important to save the country from the dangers of Modi-Shah. Unfortunately, in Uttar Pradesh and other states, you are helping Modi by dividing the anti-Modi votes,” Kejriwal tweeted in Hindi. AAP sources told CNN-News18 that alliances are not made on Twitter and if the Congress’ intention is to fight the BJP, then the two parties should ally in Haryana and Chandigarh as well. A fresh round of talks will be held between the Aam Aadmi Party and the Congress on Wednesday, where the AAP will propose a tie-up in Delhi, Haryana and Chandigarh with a seat sharing ratio of 5:2 in the national capital, sources said. Senior leader Ahmed Patel would hold talks on Congress's behalf, the AAP will be represented by party leader Sanjay Singh and NCP leader Sharad Pawar would be mediating the meeting. Delhi, which has seven constituencies, will go to the polls on 19 May. 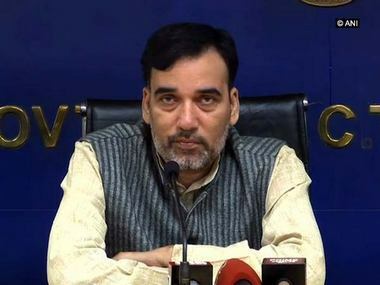 AAP has named Atishi (East), Dilip Pandey (Northeast), Gugan Singh Ranga (Northwest), Brijesh Goyal (New Delhi), Raghav Chadha (South) and Pankaj Gupta (Chandni Chowk) and Balbir Singh Jakhar (West Delhi) as candidates for the Lok Sabha polls. Last week, AAP allied with Jan Nayak Party in Haryana, where the former will contest on three seats and the latter in seven seats. Kejriwal had said on Sunday that he will do anything to save the country from Prime Minister Narendra Modi and BJP chief Amit Shah. "The country is in danger. We will do anything to save it. Our effort to save the country from Narendra Modi and Amit Shah will continue," Kejriwal had said. 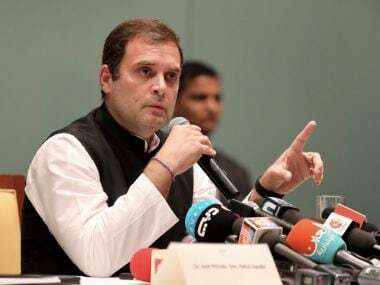 Alliance talks reached a dead-end when Delhi Congress leader PC Chacko said on 12 April that Congress would contest alone in Delhi since the AAP has taken an “impractical stand” by demanding seats in Punjab, Haryana, Goa and Chandigarh. A day later, AAP leader Manish Sisodia said the party would form an alliance in Delhi, Haryana and Chandigarh and not just the National Capital.